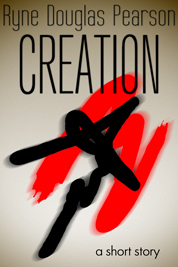 Note: Creation is a short story (approximately 7,900 words), and is included in the collection Dark and Darker. If you own Dark and Darker, you already have this story. In the riveting story by screenwriter (Knowing) and novelist (Simple Simon, Confessions, and more) Ryne Douglas Pearson, painter Derek Devine thinks he knows what art is. But a visit from a dangerous stranger, who looks uncannily like a subject in one of Derek’s older paintings, leads the young artist to a place where the line between life and art seems not to exist at all.